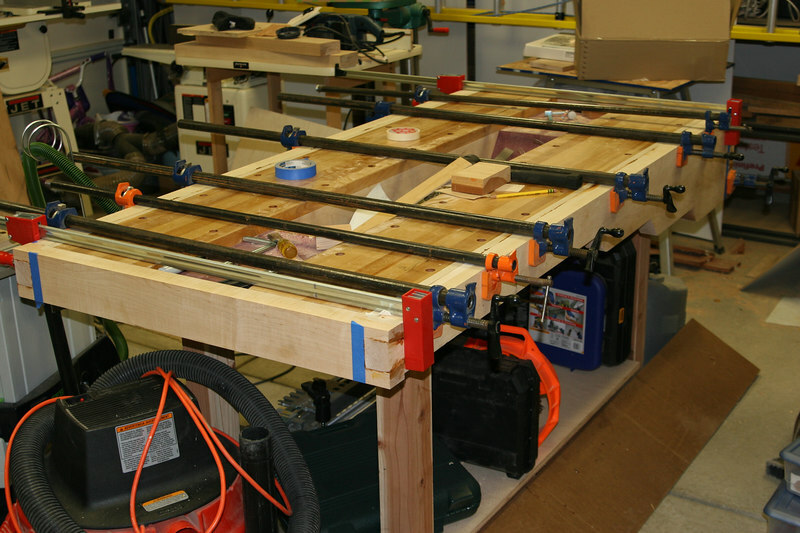 This is the progression of my workbench. I started with two Veritas maple slabs and used a custom designed purpleheart tray in the center. I used handcut dovetail joints and then finally added a twin screw end vice with purpleheart faces.